As weddings are getting bigger and more extravagant, so are the bride and groom’s stress levels. A time of love and excitement can quickly turn into many stressed filled nights leading up to finally saying ‘I Do!’. This Wedding Wednesday is all about taking it back to the simplistic times. Remember your parents telling you stories about their wedding day? They got married in the church with their closest friends and family and it was elegant and simple. Typically the reception was held somewhere in the church with a large table full of home cooked food and lots of dancing. Weddings don’t have to be so complicated, however in this day and age it is such a competition to have the biggest wedding out there. Take some inspiration from your families weddings, keep things simplistic and remember: the most important part of the big day is YOU! Everyone is coming together to celebrate your love and happiness that you have found for one another, don’t try and over complicate it. One way to make life easier is hiring a wedding planner, they have the knowledge and connections to make your dream wedding come to life. Although they will go above and beyond to make your dream come true, don’t forget they are not miracle workers! 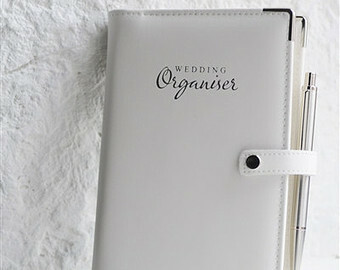 The more moving parts you have in your wedding, the harder it will be to coordinate them all. Not saying it is impossible, just more of a stressor trying to have everything come together. Be inspired by your own ideas! Online outlets can be an excellent source for inspiration, but try not to copy them exactly. Keeping all of this in mind will result in a beautiful wedding to celebrate the love!